Atrium has Metered and Street Parking along Vermont Ave, Russell Ave and Melbourne Ave, with another public Metered lot located behind Atrium with access from Russell St. We also offer Valet Monday, Thursday, Friday and Saturday evenings. Please email info@AtriumLosFeliz.com with any party inquiries; we would be delighted in organizing an exceptional experience for your special occasion or event. Atrium is an elevated neighborhood restaurant focusing on Modern American cuisine inspired by the many culinary traditions of Los Angeles and it's people. The only bummer was that one of the bathrooms happened to be out of commission, which led to long lines that awkwardly extended out and into the middle of the restaurant. We were a very chill party of 3 really excited to be out together. Two of us have 25 years cumulative experience working in restaurants like this before becoming successful artists. From moment one, the service made us think of the places we’ve worked at over the years where management was so overzealous w rules that servers etc were more stressed out about following them than empowered to ensure a great client experience. We asked to order a few appetizers w our drinks but were told ‘No, that’s not how it’s done here. 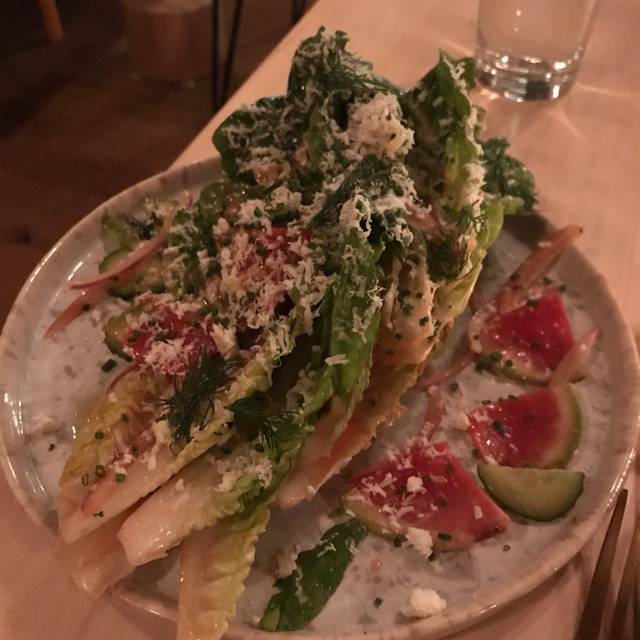 We need to take your whole order at once so we can course it out appropriately.’ Our server was generally ignorant of ingredients and there ended up being similar combinations in several of our plates. The menu descriptions were also not clear. Baja bbq shrimp turned out to be a cold shrimp salad. When we asked what broccoli sprouts were, the server won explained ‘they’re like Brussels Sprouts but broccoli. Like the stems.’ They turned out to be the best thing we ate other than the potatoes and focaccia, but were not just the stems but basic baby broccolini. When the bathroom turned out to be a mess and the lock on the door was broken so someone walked in on two of us (separately), we were able to laugh about it but it kind of summed up the experience. Thanks to a cool manager, busboy and 2 female hosts, there were some positives, but of all the amazing places to eat, it made sense why it wasn’t full on a Sat night and why it still has some work to do if it’s going to survive. Fantastic and memorable meal for our one night in LA. Note they are in an alley and there is metered parking behind the restaurant...we drove by several times and missed seeing it. The meal was definitely worth locating the restaurant! Go! I don't like the fact that a restaurant won't seat you at your table until all guests have arrived. It was extremely loud and really hard to have a conversation. The service was super casual and a bit off. The environment is nice but too many other factors put us off to where we will not be going back. And parking is not easy. The staff was on it. Friendly, attentive, I mean just great service. We had the biscuits, cauliflower hash, and corn meal waffles. The guava on the waffles was a little heavy but that might just be my preference. For drinks an oat latte, and a drink called the mistress, I think? Anyway just go and enjoy. Wonderful brunch with a terrific server. The food and drinks were fantastic. The only thing we’d wished was that the music wasn’t quite so loud. Great ambiance and decor. 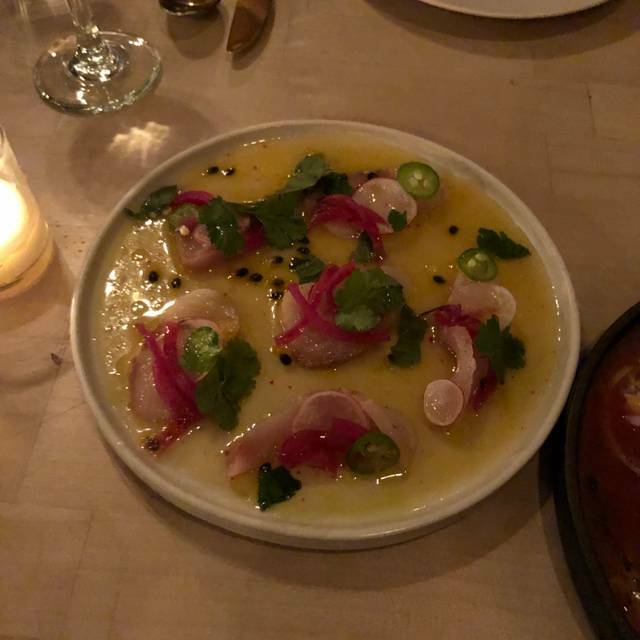 I would come back for cocktails, food was overpriced and over seasoned to the point of it being almost uneatable. Great customer experience... had a mistake with an order and they remedied it immediately, and even gave us a free drink. Great customer service. Great bar, great atmosphere. Our server, Alex, was one of the best we've ever had in LA. Job well done! Second time back and each time has been exceptional. I almost wish they had a bakery section cause I would pick up a biscuit and coffee every morning. The potatoes are hearty and delicious. Cauliflower hash was my friend’s fave! The service is always perfection with such kind staff. Not enough options for vegetarians. Second time of us in this place, twice the manager was so not inviting and not polite. The first time the place was packed and the second it was empty. Very ridiculous. Of course we shall not come back and will tell our friends to never come to this place. Great service and food. All very yummy, and the birthday take-home plant was a lovely touch. The pork chop, the whole fish, and the papaya dessert were amazing. 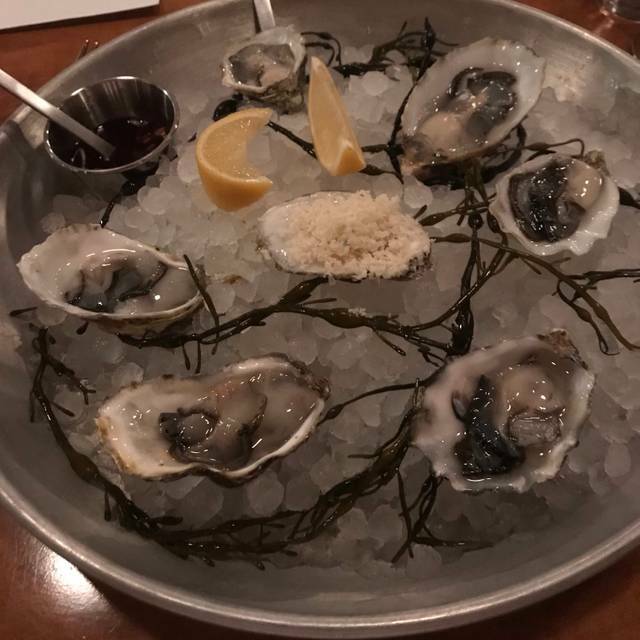 We only wished the oysters were a little bigger; tiny for the price. Well worth a first, second, and third visit. Thank you. We always love Atrium, especially on week nights. It's not as loud as on weekends, but the energy is lively and fun. This is a great place for both special nights, or if you just want to catch up with a friend and grab a great cocktail and some food at the bar. This was the second time we were here for brunch. The first time we loved it, yesterday was mediocre. We ordered and within seconds one of our dishes, the pozole came out. 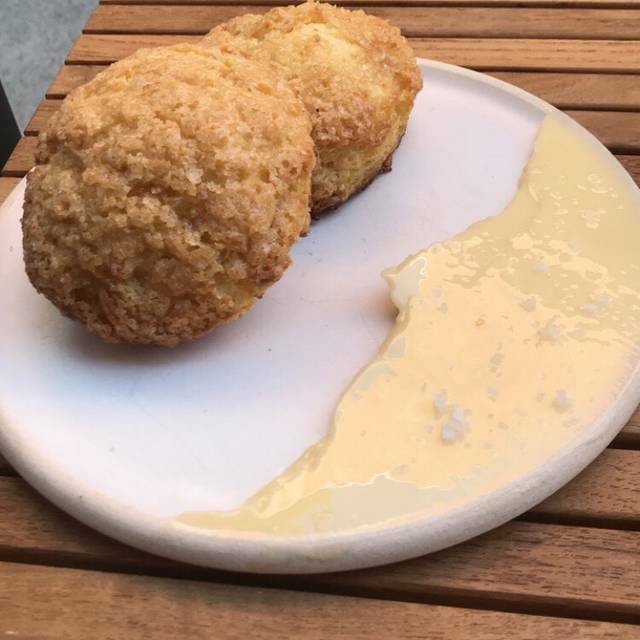 There’s no way that this dish was fired for our table. We understand that the structure of the menu is shared plates and whenever it’s ready, it comes out, but the food came out so fast that we were literally finished within a half an hour. Not the nice, relaxing brunch we were hoping for. I cannot begin to tell you how great of a place Atrium is. I'm absolutely in love with this location. I will from now till -------- be a regular. Everything about it is beautiful. The food presentation is incredible, the taste even better. The staff Loves their job- you can tell. Whether a tourist, local, beach person, artist, writer, model (maybe not a model unless taking pictures) should be going and eating here! 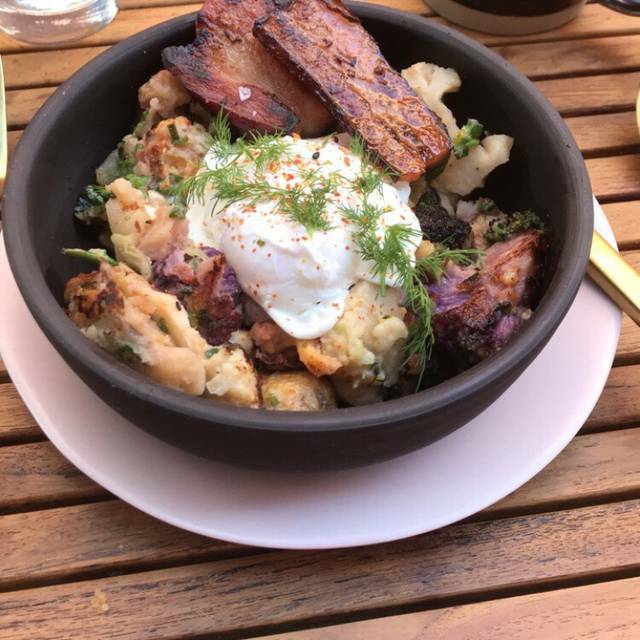 Great little discovery, their brunch menu has delicious dishes. 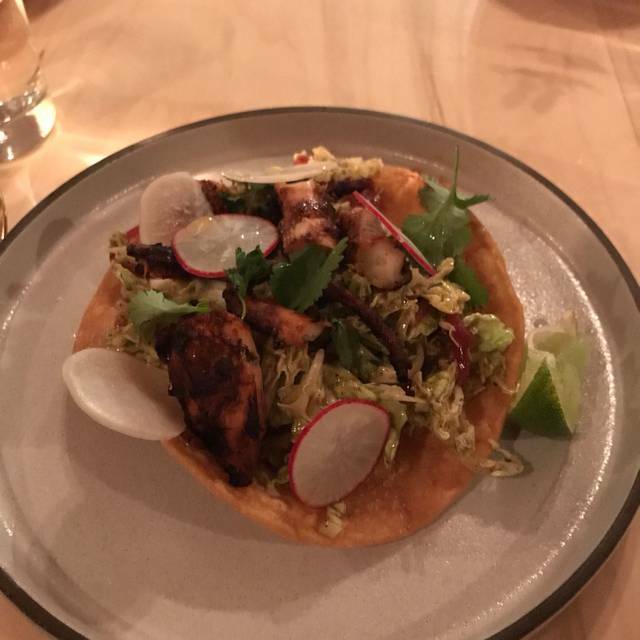 I do wish there were a few more "traditional" options like a fruit bowl or something to cut the heaviness, but every single thing we ate was amazing. The smashed potatoes are delicious, the cauliflower mash...even the biscuits, and I don't usually like biscuits. It was all very rich I recommend ordering a couple things and sharing. Service was lovely and friendly. Looking forward to going back for dinner. The kimchi burrito and the biscuits were out of this world. Also Chelsea is the best host. All of the staff are friendly and dog friendly! Other than the server not taking my sesame allergy serious and telling us there was no sesame on the brunch menu and then bringing two dishes COVERED in sesame it was great. Noisy but food and service was great. Hope to return soon. Great evening of delicious food in a pretty space! Wonderfully inviting restaurant with deceptively simple and flavor focused food. Perfect ambiance for hanging out all through the day. The staff feels like old friends invited you over. 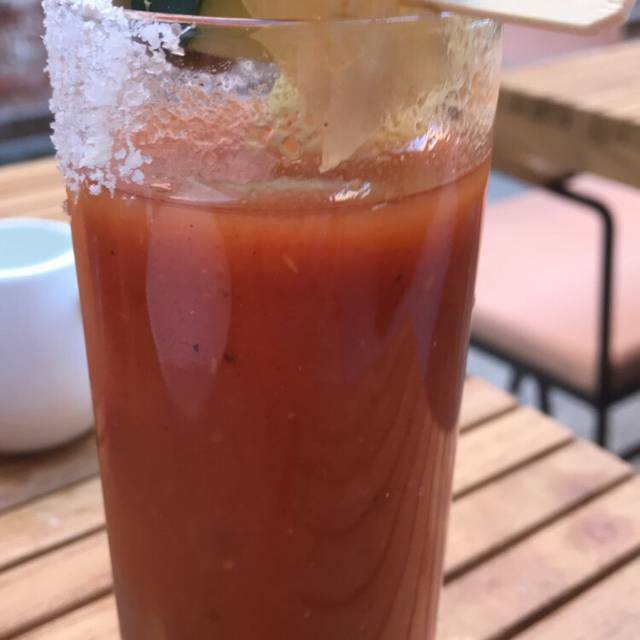 Brunch with a party of 6 at noon on a Sunday. Waitress was terrible. She was not friendly and never willingly came by to help us. We always had to stop her to ask for something and any time we asked for anything, she acted like it was a hassle. Was not amused by her sarcasm either. We asked her to split our check 4 ways and put the rest on the last card. She came back and split the check evenly 5 ways. Is she dumb?? Turns out there was automatic 20% gratuity so it makes sense why she didn't put in much effort with us. I would have tipped her 5% if I could. Restaurant noise level was pretty loud, I could barely hear my party. It was also uncomfortably hot. I had a wonderful experience at Atrium dining with my parents, who were visiting from out of town. Our waiter was attentive and knowledgeable, and gave us guidance on what food and drinks to order. I highly recommend the oysters, they were exceptional. We loved everything we had. I will definitely be back! Ambiance was great with nice eclectic music selection by a DJ. I loved the oysters, Gregs biscuits were scrumptious and kinchi burrito hit the spice spot. The Shift drink was quite refreshing. Will certainly come back to try the loaded crispy potatoes. This spot is truly a hidden gem of Los Feliz. Overall it was very nice. The waitress was a little bit too pushy. We ended up ordering too much food being misled regarding the portion of the food. The steak which cost us $160.00 was too salty, the bread was to die for! We liked the place...I have no doubt that our next visit will be much better. The best part about Atrium is the ambiance! I love all the plants surrounding us and the wooded areas. The food was "ok". It felt like they were trying really hard with the food concept but didn't quite nail it. I explained it as I would rather have really basic boring food that's executed well, something seemingly interesting that didn't quite hit the mark. It wasn't terrible, but expected more for the amount paid. They could also really benefit from having a sign outside on the street or on the wall - it's extremely hidden and hard to find. They said they knew that, but yet haven't done anything about it. It's the small things that go a long way. Would I go back, yes! But probably not until they have some fresh menu items for spring / summer. I very much like the ambiance and the food. It’s very cute. The food and cocktails are inventive and fun. They didn’t want to seat my visibly disabled 70 year old father for our reservation while I was parking the car which was disappointing because otherwise the staff are very nice. Improper training on that one? Pretty cool spot, great and friendly service, appetizers were excellent, steak was delicious, cauliflower was amazing, dessert was nice too...wine selection was interesting but slightly limited, still good though...I will definitely be back, they have a bar opening next door and the owner was awesome...looking forward to it, cheers! This is a very cool spot. The happy hour is pretty good at the bar. Great place for drinks. Amazing food and excellent service. The small plates are bigger than expected - highly recommend the focaccia, beets, and oyster mushrooms! Perfect all the way around. Food was unreal. Will be coming back for sure!